FROM L.A. – 5 FWY NORTH: Take the Griffith Park exit (this is right after the Los Feliz exit). At the exit, make a right on Cyrstal Springs. Continue until you see the next available left turn (you’ll see a sign that says Merry Go Round). Go up and you’ll reach what looks like a dead end but if you turn right, you’ll see the big parking lot. FROM BURANK – 5 FWY SOUTH: Take the Los Feliz exit (which is after the Colorado exit). At the exit, stay on your left and make a left on Los Feliz West. Next, take the first available right into the Park (this will be Crystal Springs Blvd). Continue past the first few stops until you see the next available left turn (you’ll see a sign that says Merry Go Round). Go up and you’ll reach what looks like a dead end but if you turn right, you’ll see the big parking lot. TRAIL WALKTHROUGH: This trail will start at the Merry-Go-Round 1 parking lot. We’ll venture Northwest and head uphill. There will be some small hills (about 2 are a bit steep) and the most the rest of the trail is quite leveled. 1/2 a mile before we reach Amir’s Garden, we’ll be going up a hill that will be a workout, but most of our hikers take it their own pace and do great. We’ll take plenty of water and breather breaks so everyone gets an opportunity to keep up and keep hydrated. 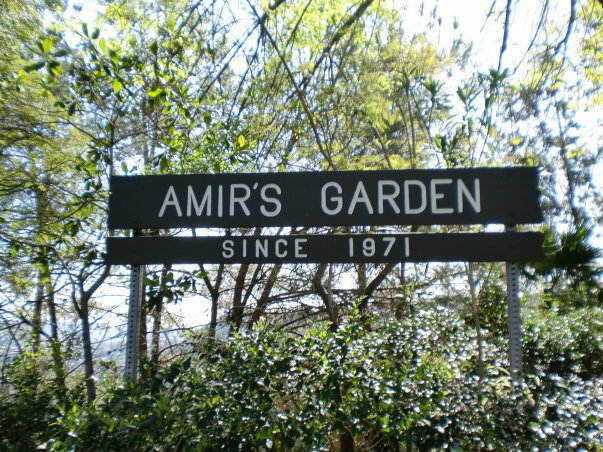 Then we’ll have a snack up at the top, Amir’s Garden. There we can admire all the surrounding plants that have been grown there along with plenty of shade and benches. RESTROOMS: Restrooms are available next to the Merry Go Round. We suggest you go prior the meeting point. There will be no other restrooms along the way. REQUIRED: Water is required for all of our hikes. We recommend at least 1 liter of water (or 2-3 small bottles of water) for this hike. RECOMMENDED: Comfortable hiking shoes with good grip. Comfortable cross training or any other type of sport/recreation shoes should be fine for this hike. Bring sunblock and snacks to have at the half way point. DOG-FRIENDLY? : Yes, this trail is okay for dogs that are friendly to other dogs and hikers. Dogs MUST be on a leash at all times. You must bring water for your pet, and make sure to pick up after them.